Icicles will require you to do some set-up before unleashing them. You can stack up to five and if you can get that stack, then freeze the enemy, then your next Ice Lance will be brutal. If you’re stacking Mastery then you’ll also want to make sure you’re making good use of your pet, with its increased damage. The downside is that overall damage isn’t too hot, so it might be worth your while to stack Haste and this might make Frost Armor, with its 7% Haste buff, more interesting than before. Mastery doesn’t directly affect your damage, at all. Fire is changing a bit. 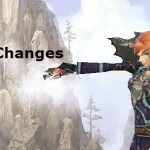 Combustion’s DOT was reduced, which will be bad for PvE, but not so much in PvP. Living Bomb, as noted above, got a buff. Any mage who blinks a lot will want to look into the new Glyph of Rapid Displacement. If you are using Remove Curse then you will want to note that the Glpyph increases your damage by 15%. I think a lot more curses will be removed in 5.4. One might even considere it a Warlock nerf as far as PvP is concerned. In addition, Temporal Shield, arguably the best talent of the shield tier, has been improved. IN patch 5.4 it reduces damage by 15% in addition to its other effects. This is rather nice. Tooltips (hover over the links) will show 5.3 info until patch 5.4 goes live. New talents and abilities will show the new info. These Mage 5.4 Patch Notes are as of Aug 27. I’ll update then (and note it above) if there are additional changes. All the official patch notes can be found here. Combustion on targets affected by the Fire Mage’s Ignite now deals additional damage equal to 20% of Ignite’s damage per tick (down from 50%). Water Elemental – Waterbolt damage has been increased by 25%. Ice Floes now has 3 charges (up from 2 charges) and has a 20-second cooldown (down from 45 seconds.) The changes are perhaps because no one was using it? Temporal Shield now also reduces damage taken by 15% while active in addition to its existing effects. This is a pretty nice change if you use this talent. Glyph of Rapid Displacement gives Blink two charges, gaining a charge every 15 seconds, but no longer frees the Mage from stuns and bonds. This will likely be much more interesting for PvE, when mobility is required, and PvE where the “break from from effects” aspect will be missed. Glyph of Remove Curse now increases the damage dealt by 15% after successfully removing a curse (up from 10%). This is especially nice when fighting Curse using types, such as Warlocks. Remove Curse has an 8 second cooldown and the buff has a 10 second duration. How to get your mage to 90 quickly. 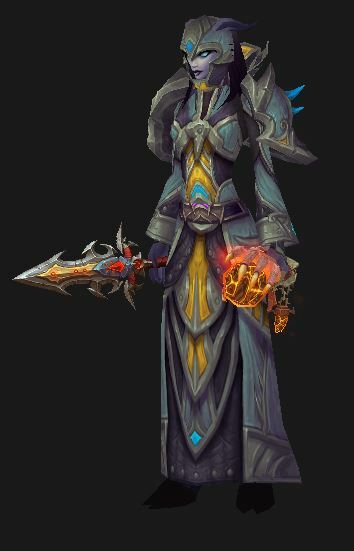 Mage PvP gear – covering the PvP gear that you will be getting as a fresh 90 all the way to Elite.